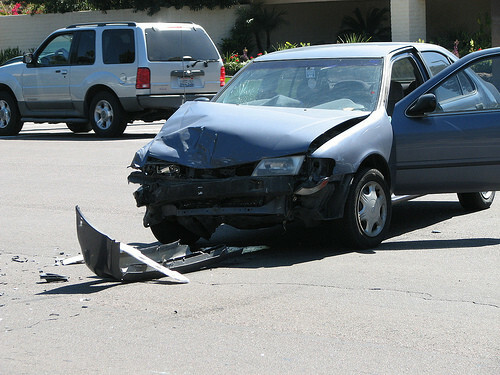 Before applying for a car accident compensation claim, it is important to know the basics about it. Generally, a claim involves compensation for the damage caused to the vehicle and compensation for the injuries sustained. Here, we will consider the ‘personal injury’ or ‘bodily injury’ compensation claim. In some states, a no fault policy is applicable. Under this policy, one cannot make any claim against the other driver for personal injuries sustained during an auto accident. Also, no compensation is awarded for the sufferings caused due to the injuries. In general, in such states, all the compensation including the treatment charges and other expenses would be borne by the victim’s insurance company. However, even in these states, if the degree of trauma is severe or the treatment and other related expenses cross a certain permissible limit defined by the insurance company, the victim is entitled to file a case of compensation to cover for the losses incurred by him. Filing for compensation should usually be done after you have been completely healed of your injuries or are in a state to properly represent your case. This serves many purposes; one such purpose is that if you file for the claim before the completion of the treatment, some expenses are left out of the compensation package. When you go to your insurance company to file a claim, you will be required to submit a set of documents showing details of the accident, the losses sustained by you, the expenses incurred and the compensation you demand. This, in industry terms, is known as a ‘claim settlement package’ or a ‘demand package’. After you submit your demand package, your company studies the case and prepares an initial report. If the case is accepted by the company straightaway, then several rounds of talks and meetings shape the final settlement draft and in turn the value of the compensation. In return, you will have to give a written statement that the losses you have incurred due to the accident have been compensated for and you will not make any other claim regarding the same. How to calculate the compensation amount? Almost all insurance companies use software to calculate the amount of compensation in small cases. The most popular software for such purpose is Colossus. This is a simple program in which certain input parameters are fed and an approximate compensation value is given as the output. All your main expenses are added together and multiplied by a factor ranging between 1.5 to 4, to calculate the compensation value. The total medical expenses or the cost incurred due to sufferings is calculated per diem (a day, week or a month) and multiplied by the number of months of treatment/sufferings to get a final amount. This amount is added to the amount obtained by the multiple of specials method to give the final compensation amount. Once you have the basics, it is important to contact and experienced Missouri car accident attorney. Navigating the legal system can be confusing, so it is important to have an experienced attorney on your side who knows how to get you the full compensation you are entitled to.